It can seem next to impossible to escape the payday loan debt trap. But it’s not; not when you have the right help and a plan in place. We work with clients every day that we help escape the payday loan debt trap. We know it’s possible. We’ve seen it happen hundreds of times. 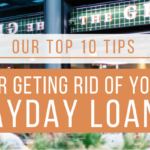 So, we’re sharing with you 3 proven options for getting rid of your payday loans. A payday loan consolidation company has the knowledge and support you need to get out of the payday loan debt trap once and for all. When you find a reputable company to work with, they should also have a proven track record of helping others get rid of their payday loans. 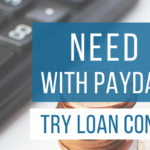 When you work with a payday loan consolidation company, they can help you get payday lenders out of your bank account, consolidate your loans, and create a personalized plan that gets you out of debt fast. At Real PDL Help, we work one­on­one with our clients who are struggling with the overwhelm of payday loans. Our goal is to reduce your stress, help you get out of debt, and do so in a way that works with your specific income. Our programs are uniquely designed to reduce your overall payday loan debt to a reasonable amount, based on your income, that helps you realistically get out of debt fast! We have an expert team of Payday Loan Debt Relief Specialists who know the ins and outs of the payday loan industry and have helped hundreds of people get out from under the trap of payday loans. If you’re considering payday loan consolidation, contact us today! Increasing your income gives you the needed extra income to pay off your debts faster. Chances are, right now, you’re barely getting by. By increasing your income, you’ll have more disposable income (beyond your necessary expenses) to put towards paying off your loans. You can increase your income several different ways. You can start by asking for a raise in your current job. If you’re working part-time, ask for full-time hours. If you’re already working full­time, ask about overtime opportunities. If there aren’t opportunities to increase your income in your current job, find an additional job. You could find a part­time, hourly job or you could make income on the side doing dog­walking, pet­sitting, mowing lawns, babysitting, painting houses, etc. 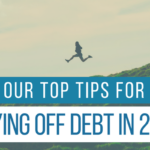 money you’re able to put towards your loans each month, the faster you will get out of debt. You can reduce your spending by cutting back on groceries, getting rid of cable, trading in an expensive car payment, stopping eating out, and cutting out any frivolous expenses that are not absolutely necessary. When you cut out unnecessary spending and cut back wherever possible, you’ll often find that you can live on a lot less than you have been. And when you make getting out of debt your #1 priority, you’re able to be laser focused on that one goal. While each of these 3 options can work on their own, we believe that an option that combines all 3 of the above suggestions works best. Increasing your income, while reducing your spending, and working with a payday loan consolidation company is the easiest (and fastest) way to get rid of your payday loans. Getting out of payday loan debt can seem impossible. It’s not. We’ve worked with hundreds of clients who’ve we’ve helped escape the payday loan debt trap. If you’re overwhelmed by payday loan debt and aggressive lenders, contact us today. We can help!